Now before I start talking about this card I did for Technostamper Monday Lunchtime Sketch Challenge, I got the idea for this BEAUTIFUL poinsettia from this GREAT card by Nikki Spencer. I thought it was so beautiful and I wanted to give it a go. And it worked perfectly for this challenge! Stamp the leaves 3 times in Versamark on Vellum Cardstock, silver emboss, cut out, sponge back with Wild Wasabi. Stamp poinsettia 2 times in Versamark on Vellum Cardstock, silver emboss, cut out one full one and one of just the inside, color with Bermuda Bay, curl leaves with bone folder, layer small flower on large on using dimensional. 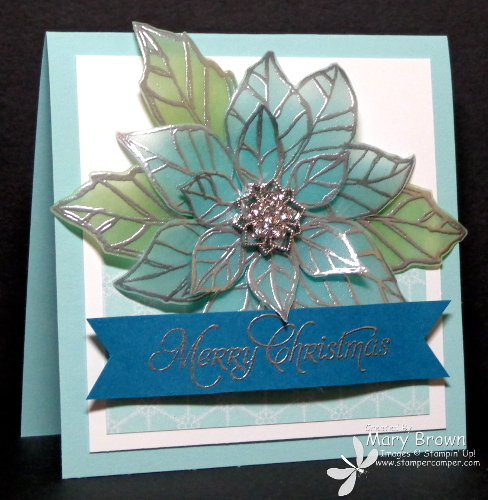 Add leaves to back of poinsettia using glue dots, add flower to card using dimensional. Finish off Poinsettia with a Frosted Finished Embellment. I added using Glue Dots. I just love the look of square cards! They are so much fun to create! We’d love to have you play along! 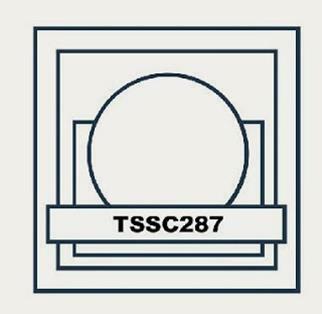 Don’t forget to check out the other members of the team and remember go to the Technostamper blog to play along! 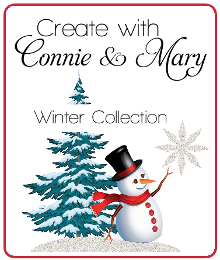 We are just starting Week 3 of Create with Connie and Mary Winter collection 2013. The Christmas/Winter FUN is everywhere! We do not show our projects (except Preview Week and Saturday Challenges) anywhere on the Internet. Although Early Bird pricing is over…IT IS NOT TOO LATE TO SUBSCRIBE! It’s all about Christmas and Winter projects! It’s not too early to start planning those gifts and decorating and we have lots of GREAT ideas to help you! See more information over on Create with Connie and Mary! This entry was posted in Holiday Mini, Technostamper Challenge and tagged Joyful Christmas. Bookmark the permalink. I love this card Mary – and really love that you give the dimensions in your instructions. That makes it so much easier to CASE!